Councils in Scotland spend around £750 million a year on community care but many don't know what care is provided, whether it is effective or not, or who should be given priority. There are also wide variations in services and charges in different council areas. The Accounts Commission has examined how well councils are coping with their new role as commissioners of community care. In this critical report, the Commission says that most councils are struggling to cope with their new role and responsibilities. 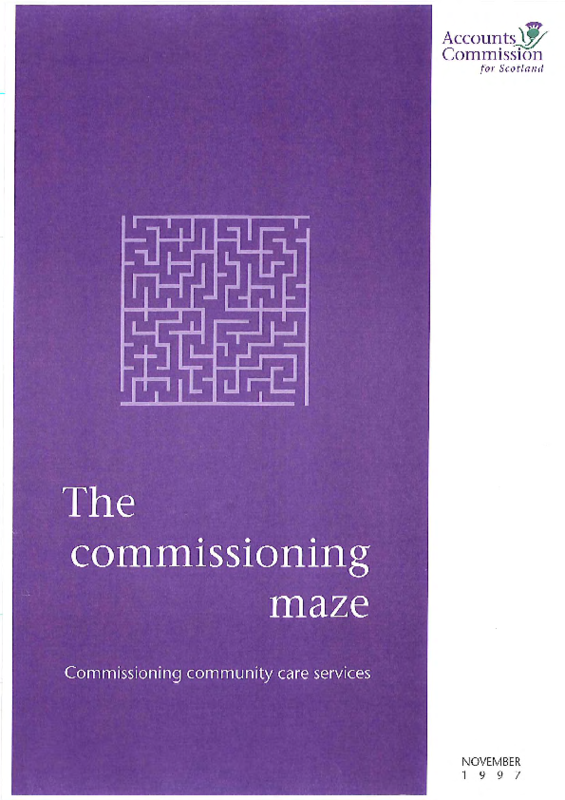 The Accounts Commission first reviewed community care in 1994. This report follows up many of the issues identified 3 years ago.